Deputy Tempe Crabtree has her hands full when bears turn up in and around Bear Creek, a young teen commits suicide and his parents’ actions are suspicious, a prominent woman files a complaint against Tempe and her preacher husband Hutch, a love affair from long ago comes to light, and a woman suffering from dementia disappears. Tempe Crabtree is a Native American, though she refers to herself as Indian and she married to a Christian pastor. Sometimes they have problems when she uses Indian spiritualism to solve crimes. Her husband feels this is dangerous toher soul. In this particular book, Hutch is helpful in many of the situations she finds herself. Read the kind of books you want to write. Spend time learning the ins and outs of writing. Spend a specific amount of time at least 5 days a week writing. To be a writer, you must write. And never give up. 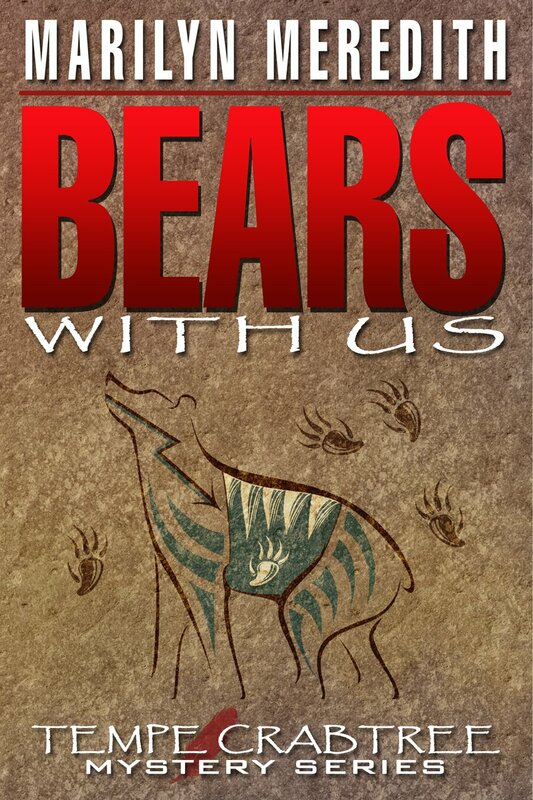 Bears are Us is part of the Deputy Tempe Crabtree series. My grandson is a police officer in Aspen CO and in the summer and fall he spends a lot of time chasing bears out of people’s houses, schools, cars and stores. Where I live, a place much like where Tempe is the resident deputy, we often have bear sightings too. I decided to include bears in this particular mystery. Marilyn Meredith is the author of over thirty-five published novels, including the award winning Deputy Tempe Crabtree mystery series, the latest Spirit Shapes from Mundania Press. Writing as F. M. Meredith, her latest Rocky Bluff P.D. crime novel is Murder in the Worst Degree from Oak Tree Press. Marilyn is a member of three chapters of Sisters in Crime, Mystery Writers of America, and on the board of the Public Safety Writers of America. She lives in the foothills of the Sierra with her husband, one dog and too many cats.